After years of everything being the new black it is time to get back to basics. Black is the new black, thanks to Sato Watanabe. 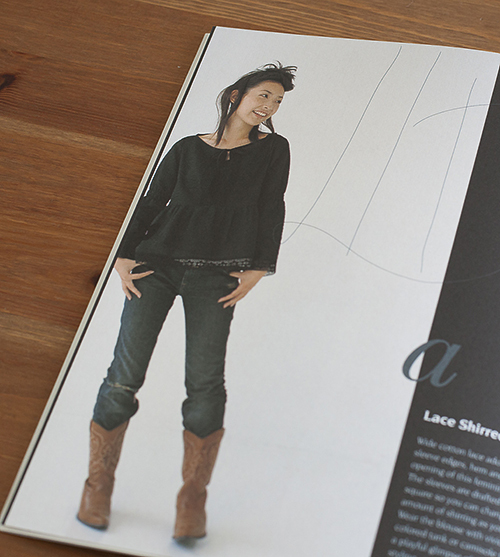 If you’re a regular of my reviews you now know how found I am of the Japanese designer. But this latest book literally blew me away. Think minimalistic elegance meets edgy meets cute. Here you go. 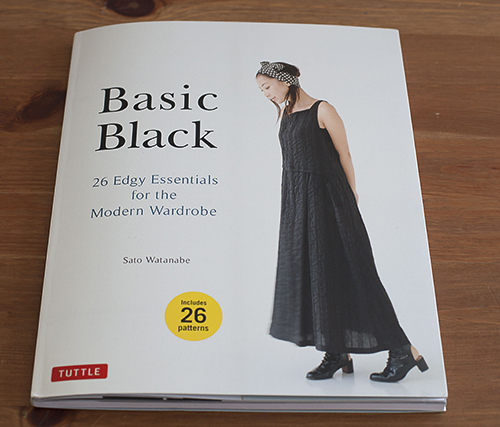 Basic Black features “26 edgy essentials for the modern wardrobe”. There are true basics here, like the high neck shirt (p. 11), the v-neck midi dress (p. 18) or the tweed jacket (p. 21). I bet if you make any of those you’ll still wear them when you retire. But there are also some pieces that are more of the modern essential type. 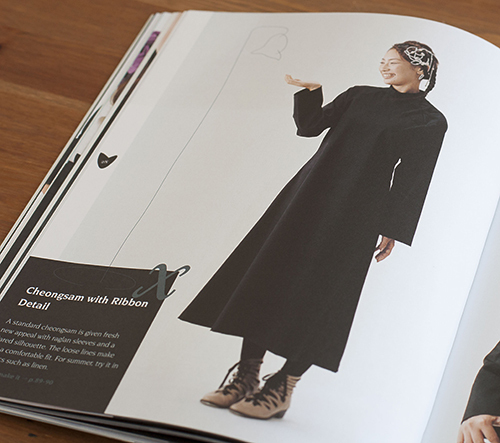 I’m thinking about the tiered sleeveless dress (p. 6) or the blocked quilting zip-up jacket (p. 8). These ones would be super useful in your wardrobe and easy to mix, but they still have a little designer edge that makes Sato Watanabe’s work so delightful. Despite all this stylish goodness I was able to pick two favourites. 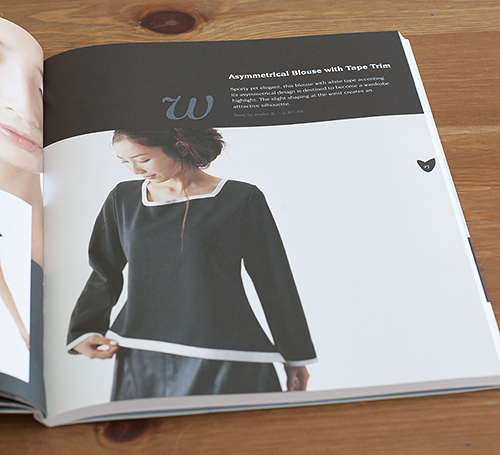 The asymmetrical blouse with tape trim (p. 27) is a wonder. It is shown in black with a grey trim and would be the perfect piece to dress up for drinks after work. But my mind couldn’t help imagining how it would look with a vibrant blue or flowery trim. And what if I picked a different colour for the blouse itself? You see, this is Watanabe’s magic working here again: one design, hundred of possibilities. I also fell for the cheongsam with ribbon detail (p. 28). This adaptation of a traditional style would look too darn cute on me in a shorter version, me think. 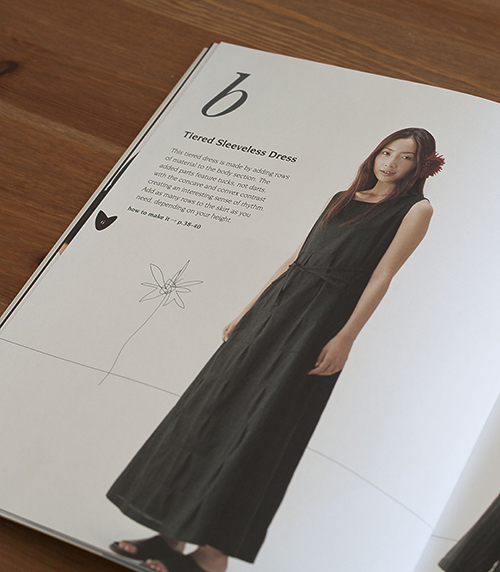 The author proposes a long version that looks so comfortable and classy at the same time! Do you believe me now? Do you see how you NEED this book? Well, that’s a good thing because the lovely people at Tuttle Publishing gave me one to give away to one lucky winner! To enter the competition, meet me on the competition Facebook page. This is not a sponsored post. I didn’t buy the book but remember I only review interesting stuff and always tell what I think about any product I review.